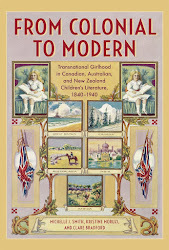 Settler colonies and colonies of occupation, such as Canada, Australia, New Zealand, India, Ireland, South Africa, and the Caribbean, held out the possibility for girls to experience freedom from, and the potential to reconfigure, British norms of femininity. 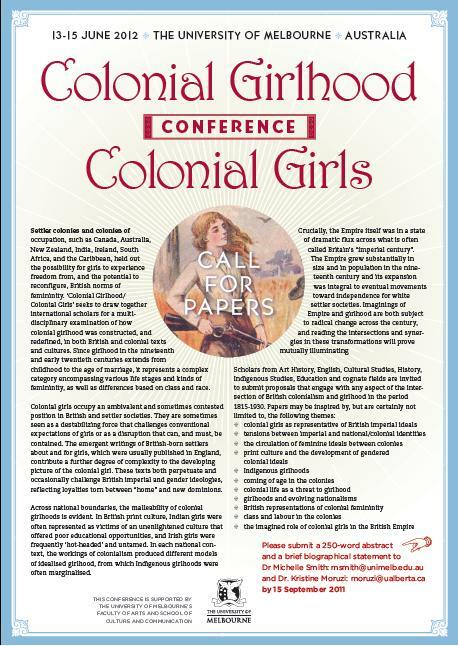 ‘Colonial Girlhood/Colonial Girls’ seeks to draw together international scholars for a multi-disciplinary examination of how colonial girlhood was constructed, and redefined, in both British and colonial texts and cultures. Since girlhood in the nineteenth and early twentieth centuries extends from childhood to the age of marriage, it represents a complex category encompassing various life stages and kinds of femininity, as well as differences based on class and race. 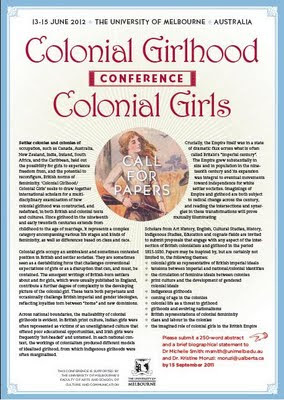 Colonial girls occupy an ambivalent and sometimes contested position in British and settler societies, They are sometimes seen as a destabilizing force that challenges conventional expectations of girls or as a disruption that can, and must, be contained. The emergent writings of British-born settlers about and for girls, which were usually published in England, contribute a further degree of complexity to the developing picture of the colonial girl. These texts both perpetuate and occasionally challenge British imperial and gender ideologies, reflecting loyalties torn between “home” and new dominions. Across national boundaries, the malleability of colonial girlhoods is evident. In British print culture, Indian girls were often represented as victims of an unenlightened culture that offered poor educational opportunities, and Irish girls were frequently ‘hot-headed’ and untamed. In each national context, the workings of colonialism produced different models of idealised girlhood, from which Indigenous girlhoods were often marginalised. Please submit a 250-word abstract and a brief biographical statement to Dr Michelle Smith: msmith@unimelb.edu.au and Dr. Kristine Moruzi: moruzi@ualberta.ca by 15 September.